Today I’m going to show y’all how to make signs out of wood shims. 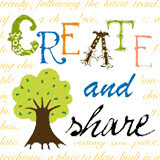 I like to call them faux-pallet signs because they have the same look as all those pallet projects you see around blogland and Pinterest, but are a lot simpler to make. First, gather your supplies. 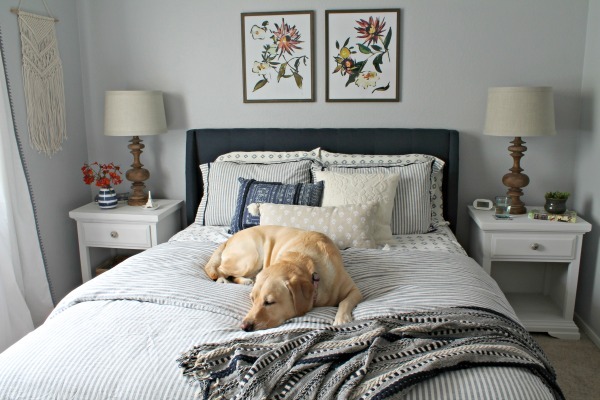 You only need wood shims, paint, and wood glue for this project! 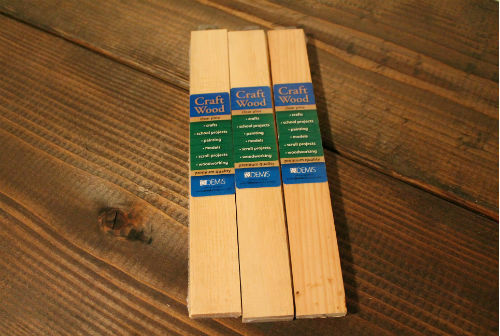 I bought my wood shims at Hobby Lobby (2-pack for $2.33). The shims are about 12 inches long and 1 ½ inches wide. I needed 5 shims for my finished sign, so I had to buy three packs (I’ll use the extra piece on another sign). I also bought a pack of smaller shims to help assemble my sign. Start by painting the front and sides of all the shims. I just used white craft paint. I forgot to take a picture of the assembly step (my bad), but it’s really simple. Flip the shims over and place them together. Add a line of glue to the back of the smaller shims. 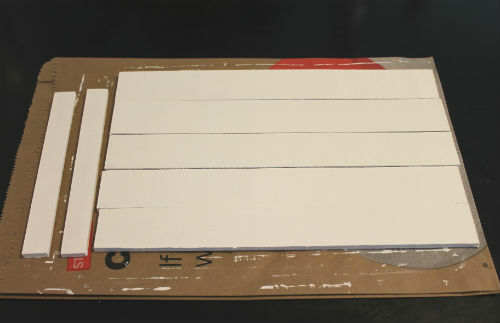 Lay them across the shims, press down, and wait for the glue to dry. That’s it! The shims are so light weight that you don’t need nails or screws. Next you need to decide on a design. 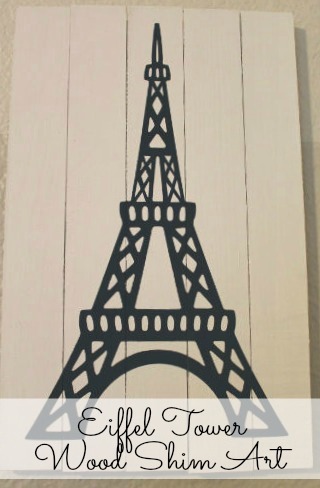 I picked the Eiffel Tower in celebration of our upcoming trip (less than 3 weeks!). 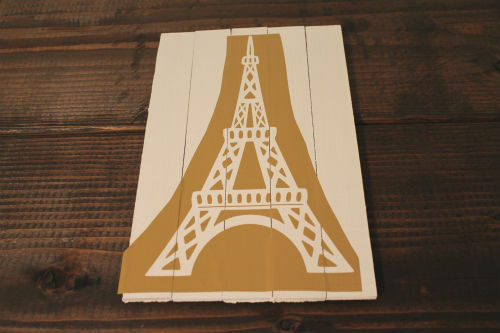 I found this Eiffel Tower shape online and used my Silhouette to cut it out on some scrap vinyl. I used transfer tape to layout the design on my board. If you don’t have a Silhouette or Cricut, you can use stickers or freehand/trace your design. Now it’s paint time! I used navy craft paint and a foam brush to paint in my design. Remove the large pieces of vinyl while the paint is still wet, but wait until the paint is dry to remove the smaller pieces. Otherwise, you’ll smudge the paint…ask me how I know… If you have any bleeding, it’s easily fixed with a small brush and a little paint. I used two small pieces of mounting tape to hang my new artwork in my office gallery wall. 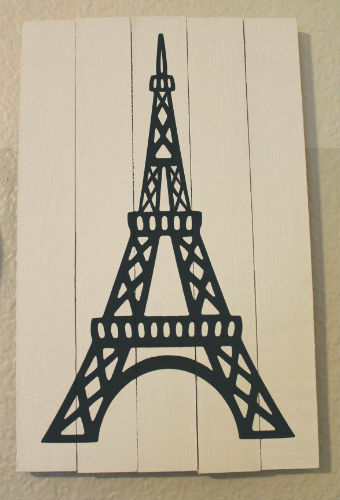 I love how it turned out and I can’t wait to see the real Eiffel Tower in a few weeks! Soo cute and soo creative of you Sam! love it! I love this! I think I might try it with left over paint stir sticks! Love this, I just bought some shims for another project (my fairy garden house) and I have some left over, hmmmmm...not sure what to put on mine! Great Post! I love it! I really want to make something like that, but make it into a chalkboard. I've got a weird thing for chalkboards I guess. Good work with all the creativity! Yay! Love it! 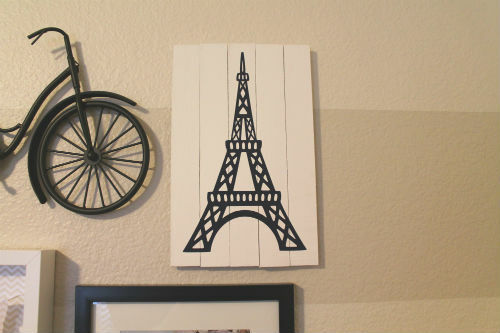 I redid my daughter's room over the summer and your theme is Paris so she would love it. Very cute! What a great idea, it turned out great!!! I love how you put it together! This is adorable! Such a great idea. GREAT IDEA Sam! I am going to steal your idea! 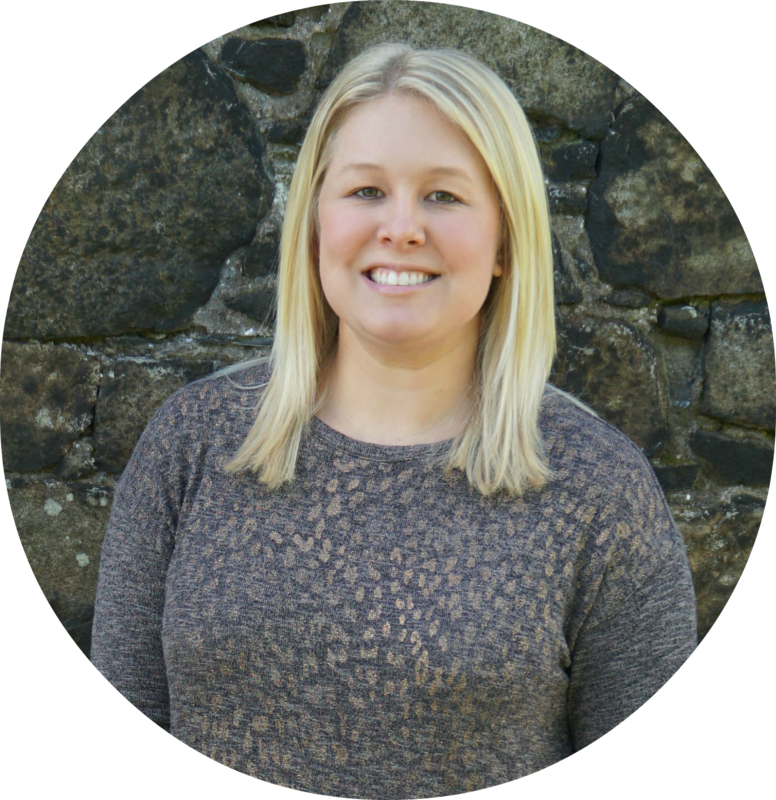 Also.. so excited for you in your upcoming trip! I hope it will be amazing!! !